Recently I spent some quality time with an old chum in New Bedford, MA. Chum isn’t the right word. She’s one of my oldest and dearest friends. This chick has so many blessings, I would throttle her if I was still single. She’s married to an excellent musician with good financial sense (how rare is that?!? ), has two really cool kids, has a BEAUTIFUL urban oasis in her backyard AND is way more crafty than Martha. 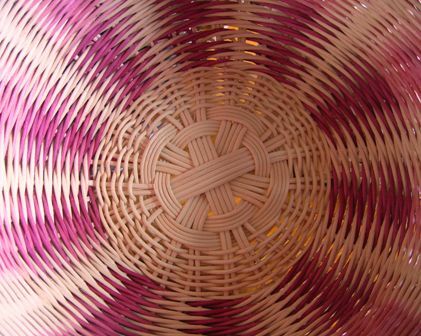 She’s started a small business called Park Street Studios selling hand made baskets and bags. I took these photos of some of her pieces. They make great gifts and hey…Christmas is right around the corner. I'm a conservative Catholic wife and mother living in the Empire State. I sew. I crochet. I complain. I love. Not necessarily in that order.